A journey to Hong Kong is not complete without experiencing Victoria Peak (扯旗山). Combine history, modern city, shopping, and dining to make an experience never to be forgotten. The main bus route to the top of Victoria Peak is #15, it takes a scenic route from Central business district all the way to the main viewing areas on The Peak. Hiking is a very popular activity in Hong Kong. The residents of Hong Kong enjoy climbing, trail walking and other types of outdoor pursuits. Even though you can see The Peak from Central, at least in places through the maze of buildings, it doesn't equally follow that it is easy to reach from there. Kowloon peninsula is the southern tip of the mainland in Hong Kong, jutting out into Victoria Harbour it houses some of the most built up places in the world, including Mongkok, as well as the shoppers paradise of the "Golden Mile" on Nathan Road. 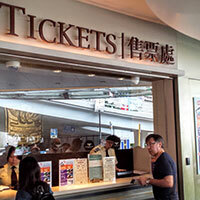 Whether you are staying in a hotel in Tsim Sha Tsui East, visiting the museums, looking for details in street markets. Or simply come to explore the other-side of the harbour, every visitor to Hong Kong will spend some time in Kowloon. Mongkok has a reputation as one of the most densely populated places on earth, and if when you visit you can well understand why this is. 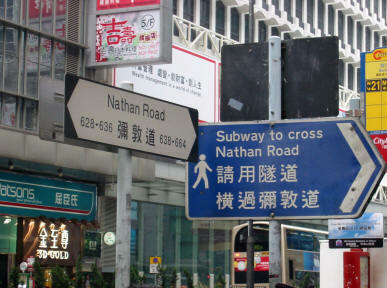 The 15B bus service to Victoria Peak runs from from Tin Hau Station MTR station on Sundays and Public Holidays only. Operated by NWFB / Citybus it provides high quality clean and efficient transport from the eastern district of Hong Kong island all the way to the commercial centre of Victoria Peak. "The Peak", as it is known locally to the Hong Kong people, is the most famous attraction in the region for many reasons. First, it is the perfect spot to experience the greatest views over the world-famous Victoria Harbour, which dazzle both at night and in the daytime. Secondly, it is easy to reach whether you take the historic Peak Tram, which is really a cable car or funicular, a bus, or even walk or hike to the top. The views of Hong Kong island also extend to the south over the South China Sea where many of the other smaller islands of HK can be seen. The Sky Terrace on top of the Peak Tower is the best-known way to see the view, but there are also many other options from the Victoria Peak Garden near the summit to the Lion's Pavilion which is just next to the tower. Whether you will be dining on the peak, exploring the wooded paths, relax with children at the playground beside manicured lawns, or go souvenir shopping in the malls, there is truly something for everyone on Victoria Peak. Visitors can enjoy both local specialities from Hong Kong style cafe food, to views from modern Chinese pagodas, through to touches of the Victorian English styling in the parks and historic buildings that reflect the area's historical connection with colonial times. The Peak is a popular, if pricey, residential district and is also frequented for an outing by people from all walks of life across the region who wish to enjoy the comparatively rare outdoor spaces. Photographers will delight in the opportunities that The Peak offers from the classic harbour views afforded. The day views are popular for their clear view of the skyscrapers of the Hong Kong Central District and the busy waters of the harbour, while night time views highlight the amazing light shows which arise both by design and by serendipity from the lighted buildings. As well as these distant views there are great possibilities from the natural world which are often found on the peak in the form of wild wooded areas and formal gardens. These contrasts all within a few minutes walking distance truly make Victoria Peak an exceptional location for anyone. Taking the tram to the peak is the classic way to approach the area and a first time visitor should certainly use this way to get to Hong Kong's Peak, but as you explore the area more times don't forget that road access is now also excellent. And various foot paths allow you to hike from various parts of Hong Kong island right up to the Peak. Try out the Aberdeen to Peak Tower hike as a great example, which winds through the countryside along Peel Rise. Water gathering grounds on the peak still collect fresh water for drinking. 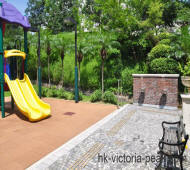 Victoria Peak is an upper class residential area with shopping and dining facilities now. But 200 hundred years ago, there lived a notorious pirate Cheung Po Tsai. One of the most vexing questions for visitors on a tight schedule is whether Victoria Peak is worth visiting when weather report says that it will be a cloudy day. Of course, the question comes up as The Peak is best known as a viewing platform for seeing the great views over Victoria Harbour. When you look for photographs of Victoria Peak mostly what you find is actually photographs of the city and Victoria Harbour taken from the Peak, rather than the mountain itself. So from that perspective, it is natural to think that if you won't be able to see that view, then a trip is not worthwhile. You can think if it like many other viewing platforms in the world where the view is the main attraction. Would you visit the top of the Eiffel Tower in Paris, or the Empire State Building in New York, when there was not going to be any view? The answer, of course, depends on what else you might want to do there. If you are visiting the Eiffel Tower to dine at the restaurant or going to the Empire State Building because of a love of the historic architecture, then your visit may still be worthwhile. Visiting Victoria Peak on a cloudy day is in the same but even more so. Because unlike those buildings the Peak is a whole district, albeit a small one, which has a great range of differing attractions of which only some depend on the view. If you are hiking to enjoy the walk, wish to see the trees and flowers of the forest, you can do that in a cloud. In fact walking along the circular walk when there are low-lying clouds, so you actually walking inside the cloud, is in itself an exceptional experience not often found outside cloud forests of South American. There are many indoor pursuits on the Peak as well, such as shopping at the malls, eating at the many restaurants or visiting Madam Tussauds. Do all these things despite the weather outside. The trip up or down on the Peak Tram is also very worthwhile regardless of the visibility. From overcast skies to actual cloud covering the peak, each gives a different experience on the tram. To add to this there is the fact that the weather in Hong Kong is highly variable, and many days in spring or summer can go from fog to low lying cloud, to overcast to clear and finally brightly sunny within the space of half a day. So whatever the weather report is for that day, leave Victoria Peak on your itinerary and prepare yourself for a wide range of possible experiences. Quite possibly including some fantastic views of the harbour.